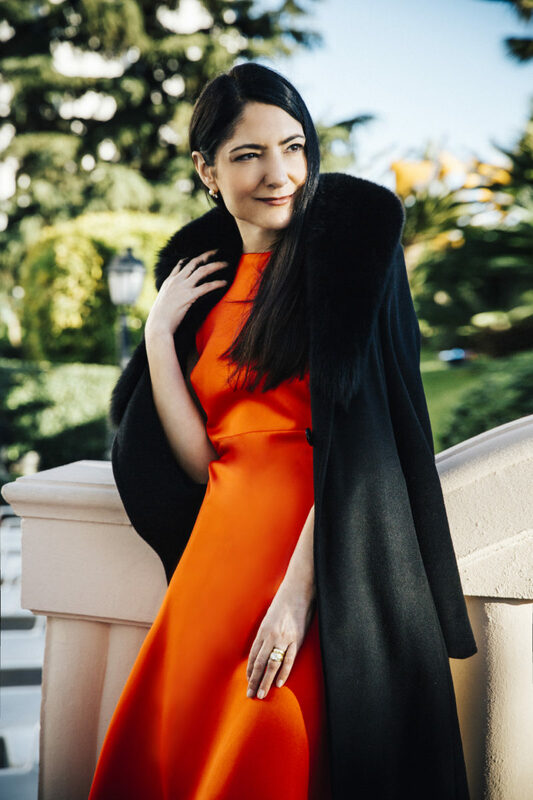 As we prepare to watch the Golden Globes and be wowed by our favorite celebs, Tale A Guest decided to do its own glam presentation of a leading lady in the luxury travel industry, the beautiful Deborah Yager Fleming, CEO of Acqualina, the hottest spot in Miami. We caught up with this sophisticated siren at the International Luxury Travel Market in Cannes, which is known to bring some showbiz glitz of its own! Oh, Deborah! What an icon of style! She is absolutely popping in the chic red designer dress and gold accessories. 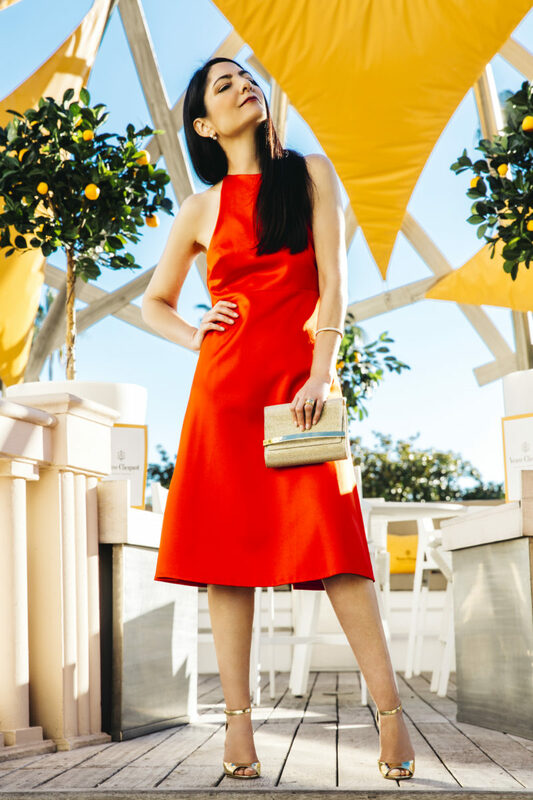 Even the french lemon trees want to be this leading lady’s accessories. 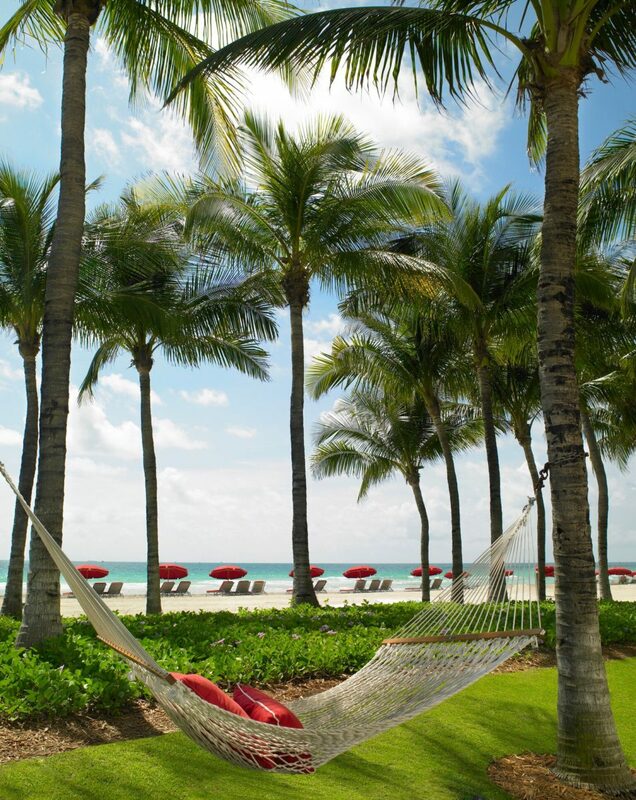 Meanwhile, at Acqualina, her hammock awaits her. For a jetsetter like her, that’s just the way it is! Eureka moments come in the calm pauses, dreaming up the best ideas she’s had yet (and that’s saying something!). There are always perfect places for inventing the new plan that will surprise and inspire the future of luxe to something even greater. Speaking of the perfect scene, this black and white capture of her elegant getaway is enough to inspire some brilliant ideas in any passerby. While she’s busy inspiring us, what, pretell, is inspiring her? Seriously, could she be any more glamorous?! This woman of strength, class, style & leadership, brings so much more than her beauty to the table. She is one of the greatest minds in the industry, at the cutting edge of new trends and forever true to her vision. Roll out the red carpet, please. 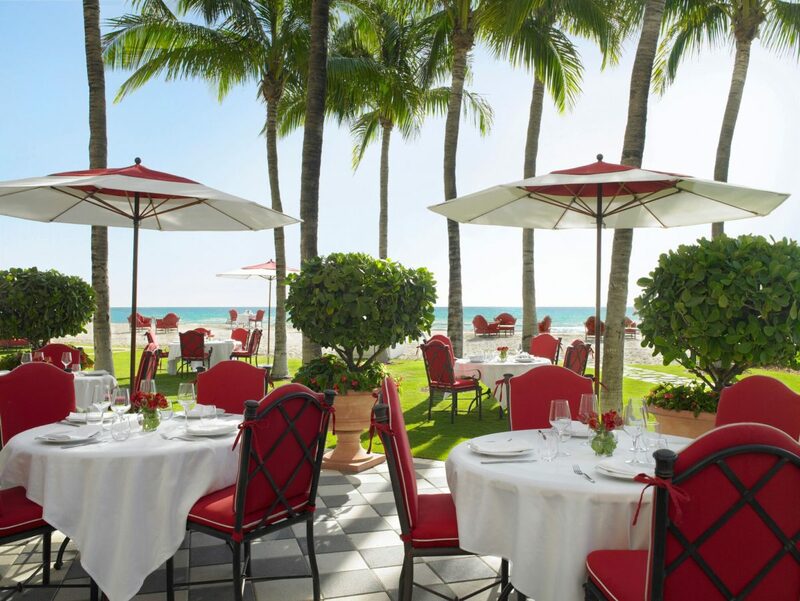 Named as the #1 Beachfront hotel in the Continental US and one of the top 100 Hotels in the World, Acqualina is a spectacular spot to sit back, relax and soak it all in. 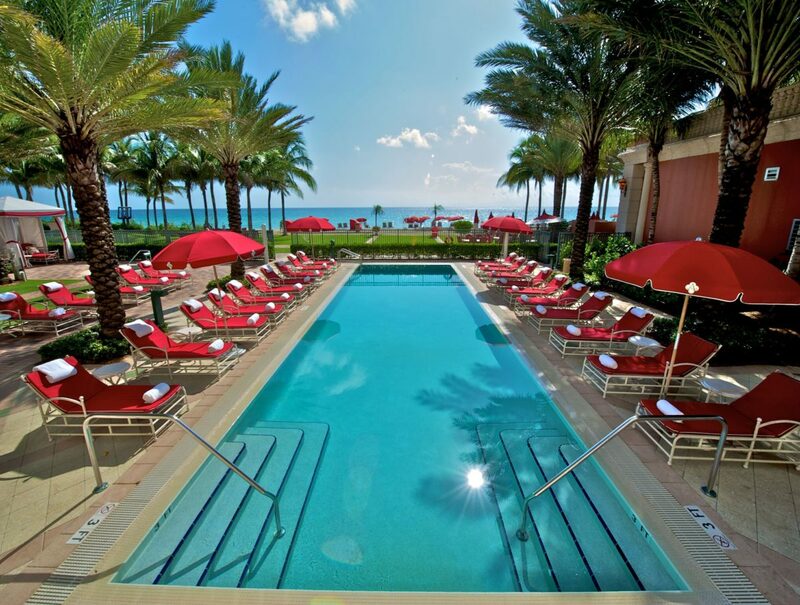 Whether poolside or with your toes in the sand, this Miami hub doesn’t disappoint. With attention paid to every detail, you can completely let go. 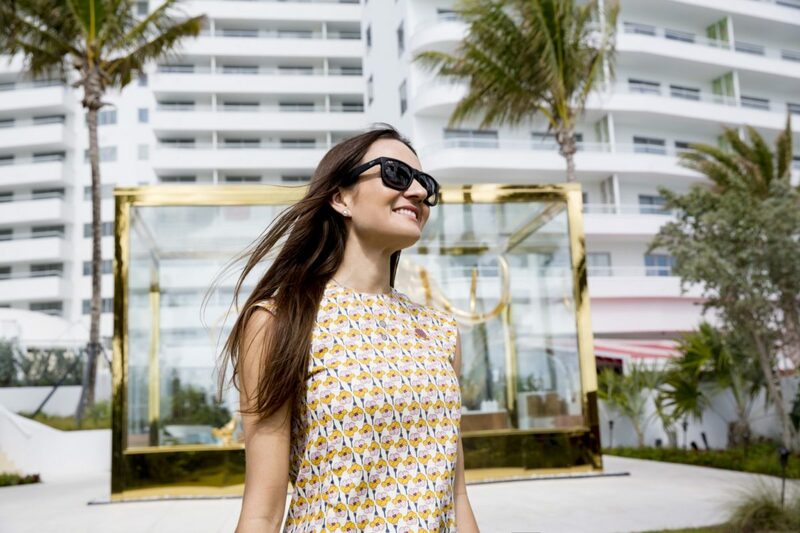 So many of the things that make Acqualina the property that it is came from the illustrious mind of this A-list stunner. She probably thought many of them up in a French cafe over a cup of afternoon inspiration …but who knows? Maybe we’re dreaming this time! 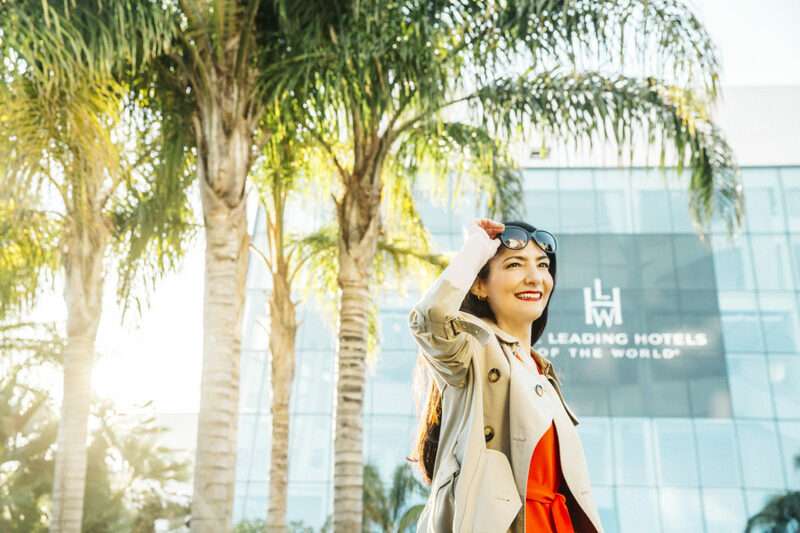 Her beachside wonderland is a member of the prestigious consortium of luxury properties: The Leading Hotels of the World and we’re not the least bit surprised. With this leading luminary at the helm, guests know they are in for the experience of a lifetime. Classic and cosmopolitan, Deborah is at home anywhere she finds herself in the world. She just has to watch out for the paparazzi seeking celebrities to photograph! For a showstopper as captivating as her, there is no respite. So why not kick up her heels for an evening on the town? Anywhere that she finds herself, the celebration will certainly appear. A swish of the perfect italian designer dress, a sip of a sumptuous cocktail, and voilà! She brings the magic with her. One final toast with a choice glass of champagne – she wishes us well in Cannes as well as when we reunite at her epic property, Acqualina. Until then, cheers!